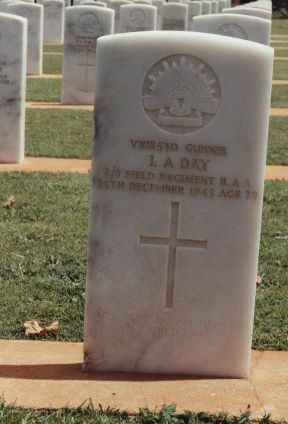 The headstone of Lewis Albert Day VX18530 at Atherton War Cemetery, Queensland. Gunner Lewis Day Died on Active Service on 25.12.1943. Born at Beaufort in country Victoria on 01.12.1914 he had just turned 29 when he died.